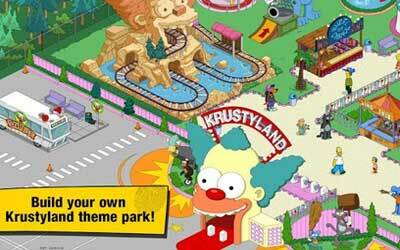 There is new version The Simpsons™: Tapped Out 4.16.7 APK which has new characters and features. Brings the latest version for your Android to get the best performance. It get updates once again. This time featuring new content themed Christmas. Here Santa needs help from the players and also the character of Simpson who could help him. Collect all the gifts and challenges of fairy Santa must be resolved in an effort to help Santa who is in trouble. Your trashy treasures have turned back to trash, and the magic of the Monorail has ended. But think of all those strangers you have friended. But all you have to do is keep tapping. Addictive and back on track after the recent update. Lots of new Land and a new area in Springfield heights to craft and upgrade.